I play multiplayer a lot, might as well make a guide to warn/give some tips to those who don’t. 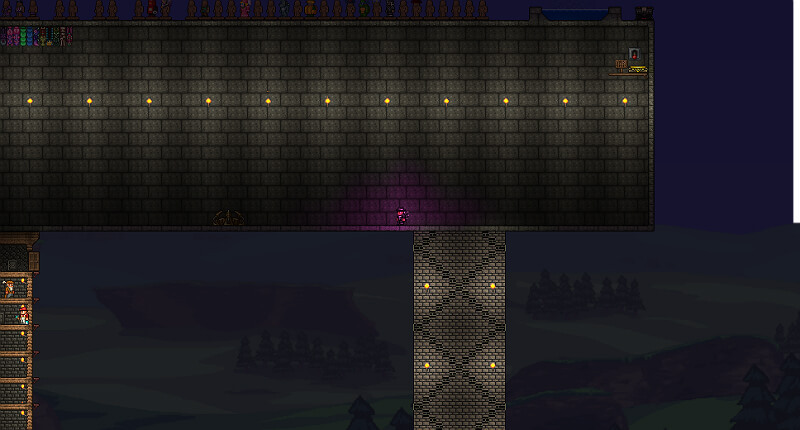 Or I’m just doing it for the lolz of the terrarian community. This is my first guide, so don’t hate on me for whatever mistakes I made. Here is just some notes I mentally made about my time on multiplayer, the forums, and with other people 😀 Anything I say that may change your gameplay are solely my recommendations, and ideas I made that might help out rub off the cancerous Terrarian multiplayer that we have. But don’t worry, not everything here is bad, just be aware of some things, and here helps best on how to avoid certain things. 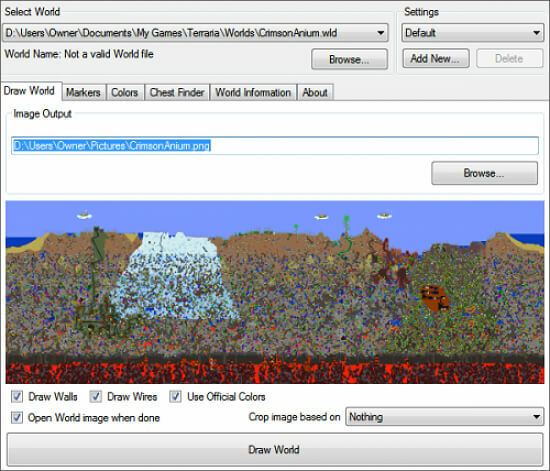 Took me 30 seconds to destroy this much of my own world, I did it for the screenshot. People in servers like to dig holes, they appear slowly all over the world, probably doing it for stone or dirt or other of such things, but people really, REALLY like to dig holes. Small holes, or big holes, or a bunch of hellavators, doesn’t matter. You will see a player-made hole sometime, somewhere in your world you know you didn’t make. 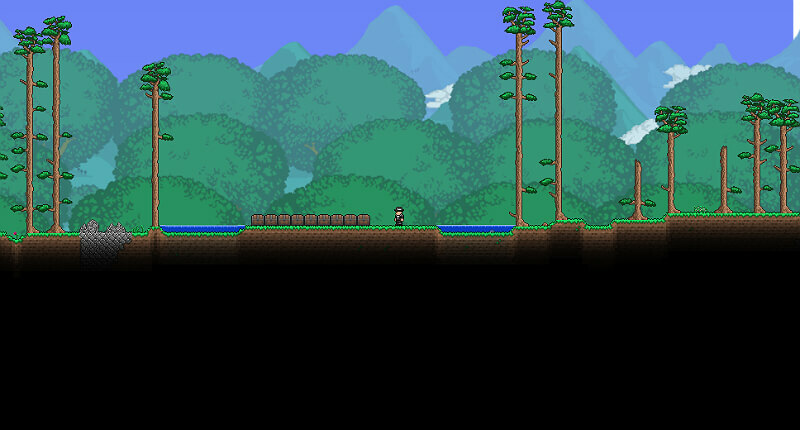 On the note on nature, sometimes people will change your biome, usually to hallow. Have a 100% pure world? Not this time! 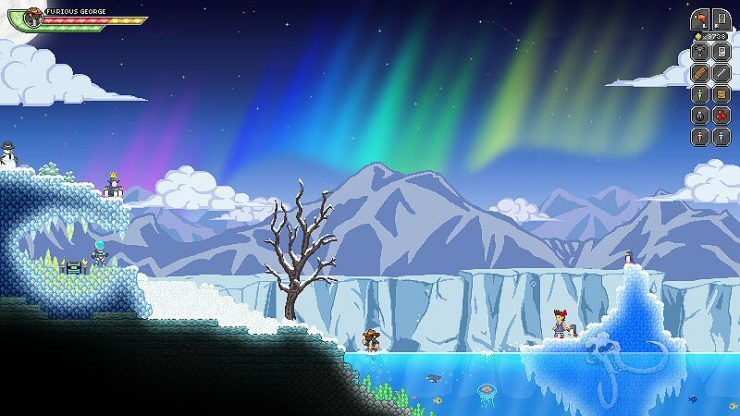 I recommend having at least two different types of worlds, one solely for multiplayer, and the other solely for singleplayer. (keep this in mind, it will show up later on) If you one of those everything-must-be-perfect kind of person, like me :3, then get used to people building differently in a multiplayer world, because hey, to be honest, it actually looks better seeing different styles of creation. Speaking of worlds, here’s a tip; you probably shouldn’t let 5+ people go against an event, like the pumpkin moon. That lag is not worth the loot. But if you don’t like making sacrifices, then do it anyway. It’s worth the amount of jokes when there is no more lag. People are more careless on your worlds because they know it isn’t their world, but don’t worry, they will still acknowledge it, others understand that a good world takes a while. 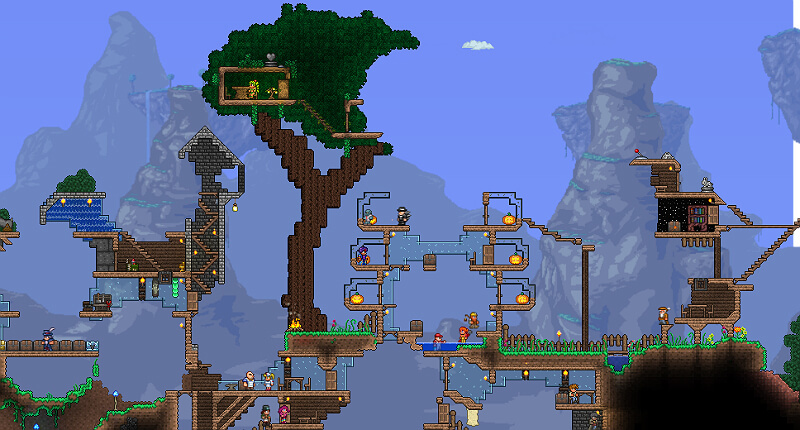 Screenshot would look more convincing if only I had more chests, but if you knew me, I do this sorta thing around 1 am. This isn’t a very big section, but I’d thought I should still talk about it. You should NOT put anything you value in any chest in a highly populated multiplayer world. If it’s just you and a few friends, then yes, it is okay to leave highly valued items inside chests in a world for multiplayer. But if you have a highly populated multiplayer world, I mean one you can and will always leave Friends of Friends on, and never set a password, then no, its a terrible idea. What people usually do (at least from my experience) is leave things that they don’t value inside chests, then someone else finds it, and might find it value to them. Although when it comes to chests, people will take more then they will give. Since events are eventful during multiplayer, as much as it happens, you will die a lot, and you will lose a lot of money. Perhaps saving it into a Money Trough, to keep your multiplayer earnings! Because (short story, sorry Crazy, but this is on you, your fault) a friend of mine, hasn’t played reletively long, at least not on PC edition, dropped 499 platinum coins while fighting the Duke. I knew it was cheating, so I took it an displayed it into a big pile. Another friend was triggered and kept the pile for himself. So, you should probably save the money into a Money Trough, you’re still able to spend on it, and won’t die with it! Somehow in multiplayer you will collect a LOT of random items, especially when mining with OP tools, so you should always make sure your inventory is cleaned out so you can carry more stuff. Don’t you like all my lovely characters? Remember how I said you should probably have at least two different types of worlds, one for multiplayer and the other for singleplayer? Well, if you aren’t OP yet, then the same goes for your characters; your playthrough character and your multiplayer character. The two characters should not intertwine, since your multiplayer character would end up being filled with OP stuff and would ruin your playthrough experience. Controls. Make sure your keybindings aren’t confusing, like having the throw button right next to the mount button. There goes my S.D.M.G. Defently the most important part of multiplayer. Okay, everyone does it, sooner or later, even me (shame on me, Circle). 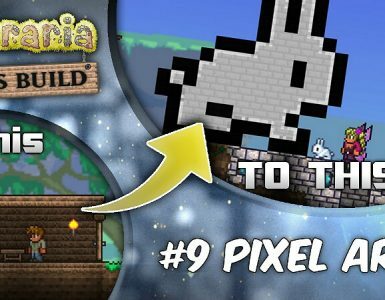 It’s okay (yes, I know) to cheat on your singleplayer-only characters, because it’s just you, it’s your choice, and you’re not bothering anyone until you plead for help on the Terraria forums instead of doing a 5 second google of inventory editors. (more on that later) I HIGHLY not recommend this, as cheating results into the game being less fun to play as a game, the way it was supposed to be played. I always meet people who do this, I use to do it myself too (really, Circle? shame on you, two times!) It’s giving new players the opportunity to be more OP. Everyone does it in-game, yet everyone is against it in the forums. I don’t recommend giving items to help the player advance, let them learn it themselves. Give them tips, not items. 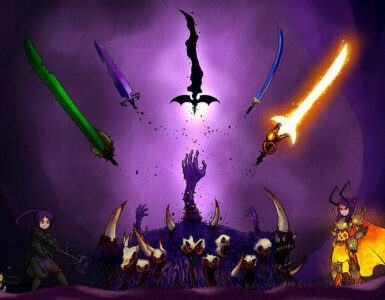 The wonderful forums of terraria! Felt like this should also be here, since this is the market for multiplayer. The lets plays are perfectly fine, there’s 0 problem with lets plays or roleplay, or the modded servers. It’s the begging that’s not okay. Just stop. Can’t beat that boss? Try new tactics, its a boss, it’s supposed to be hard, asking for tips is alright, but pleading for someone to kill it for you = no. If you need items, stop asking, there’s a good chance nobody’s going to give it to you. Instead, play the game. There’s a good reason that rare-dropping slime staff doesn’t drop – its because its rare. Sorry, I seem so butthurt about this topic, but it needs to stop. About time to play with your friends! Join via IP is joining what is most likely a dedicated server. Usually to join these you have to enter the server’s IP, and the port next, the port is usually 7777, if you can’t connect its most likely because either you typed it wrong or the server is offline. This guide isn’t how to start a dedicated server (yet) but if you’d like to, this should set you. This one is a no-brainer. It is just joining your friends through Steam Multiplayer. That’s it. Host & Play. The simplest option to just enjoy with others. The best way to enjoy this is if the person with the best computer or internet would host, but 1-3 people on one world is okay if you have anything better then a rock (trust me, the time I bought this game, 2015, I had a 2009 PC with 512mb VRAM, worked just fine with three players) For your server to be online using this method, Steam Multiplayer must be online, or else you would just be running a LAN server. Allowed users; nothing much to point out here, either users can join by invitation or not. Friends of Friends, meaning friends of your friends could or could not join your world. Same principle when you set to invite only, then if you allow your friends to invite their friends. Setting a password is best if, ya’ know, keep things between a specific party. For no password at all, just skip this part. If you don’t set a password and turn on Friends of Friends, a lot of people may or may not join your world. I don’t recommend doing that with your ‘prize world’ but defently with a world you wouldn’t mind playing with a lot of fellow players. Speaking of Friends of Friends on without a password, people would be able to join you, even if they aren’t friends with any of your friends. Sometimes when a friend sends you an invite to join the server they are playing on, the game would go no further then ‘Connecting to’ Oddly enough there are two solutions. Either you join by clicking the little arrow at the side, or they restart the server. If neither works, host may need to disable firewall. If you are one of those modded players, in order to join others using TModLoader, make sure you and whoever you are playing with has the same exact mods, or else it won’t work. Just a small message to those who prefer joining over hosting, if the world is a more developed world (like it has buildings and stuff) then just respect the world, going around destroying it-who does it help? It’s not funny or satisfying to go around destroying other people’s work. Unless if the host says it’s alright, then it is not your time to shine. This mini guide will teach you how to host a dedicated online server! I’m going to try to keep this one as short as possible. Note that your internal IP will change a lot, at least once per week. If you find that bothersome, consider getting a static IP. Because others already have explained it way better then I ever could, here’s a guide to getting a static IP[howtogeek.com] Yeah, that’s right. A guide linked you to another guide. 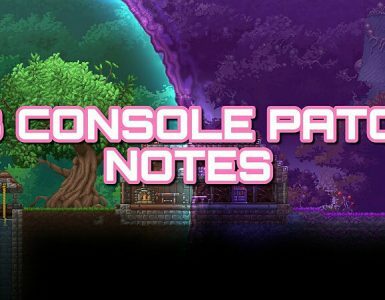 Was going to recommend paid dedicated hosting, but steam removed that link *sigh* Well if you’re really into paying for it, it shouldn’t take you more then 20 minutes to find good Terraria hosting with mod support. If you have all these things, great! Now you can move on to step two! To port forward, type in your favorite World Wide Web Browser 192.168.1.1, which should bring you up to your router settings to port forward, but if that didn’t work, right click that windows icon and click “Run” then type in cmd – once you are in that type in, without “”, “ipconfig /all” Then look for ‘Default Gateway’ Once you find it, type those numbers into your browser. Also, get the number for IP4 Adress, defently going to need that later on. What would typically come up is a username/password. To find this, look for the user and password on your router. If it doesn’t match, then someone else has changed it, and you’re screwed. If you reached this particular stump, you have four choices. To not make a dedicated server anymore, buy a server, ask the person for the user and password, or reset the router to default settings for its original login. Please do this respectively, like asking for permission to whoever that router owns to, or making sure you know resetting a router causes somewhat-serious problems. Once you get in, find the option to port forward. Might look like something like Open NAT, but typically it’s just somewhere along the lines of “Port” or “Forwarding” Once you get there, forward the port 7777, because as mentioned above, that is the default port of Terraria. Also, you have to port forward with your IP4 Adress, so that’s what you put in when it asked you for your IP Adress. If it asks you to name your port forward, then you can just put Terraria or whatever, it doesn’t really matter. If your router doesn’t support port forwarding, then I’m sorry to say this, but you can’t host your own dedicated server. I suggest looking into new routers. Once you’re done, you should probably check if the port is open. If the port is not open, give it a minute or two and try again. Still not? Most port checking websites uses external IP instead of your internal IP, just change it to your IP4 address we discussed about earlier. Still not? That’s pretty much the only way to port forward without extra software. 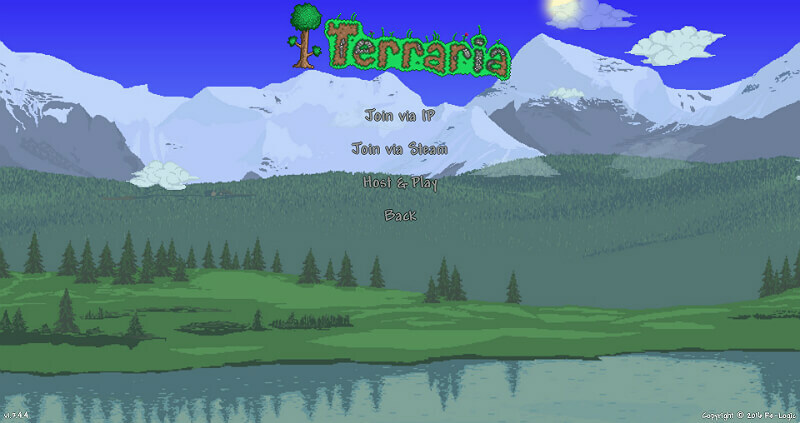 Launch up Terraria, go on multiplayer and click join by IP. Now remember, it’s not online yet, so for IP type in ‘localhost’ and for port, leave it at 7777. You are now in your TShock server! Go back on the TShock cmd and you’ll see it is prompting you to verify the server by making yourself superadmin, by typing in a command that looks something like /auth 00000000. Go ahead and type that in and the server to make yourself temporarily superadmin. Now you need to register your account, just as the server says, by typing in (replacing the [ ] with actual details) “/register [anyusername] [anypassword] superadmin” You must include that ‘supradmin’ at the end or else this will not work. Last step is to type in “/login [thatusername] [thatpassword] and the character you are playing as will be a superadmin, automatically everytime that character joins your said server. 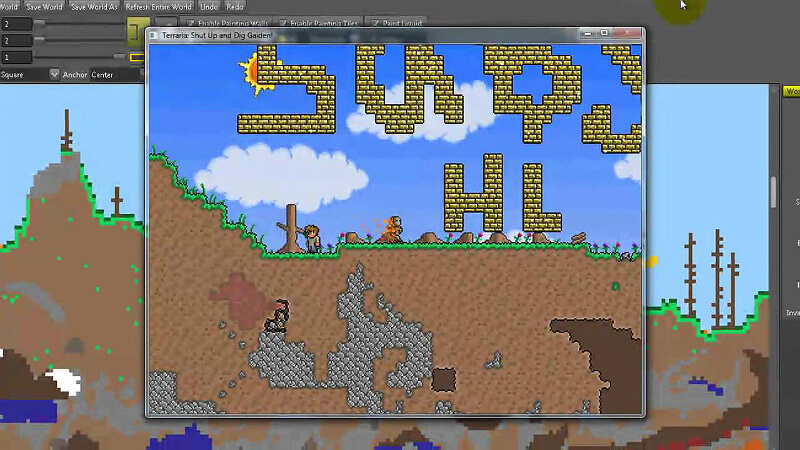 Now at this point close down the cmd by typing in /stop, which saves the server and immediately kicks out in Terraria. Locate where the TShock server files are, you know, that same file where you ran that .exe. There’s another folder in there labeled ‘tshock’ and in that lies a config file. Right click it and choose ‘Open with Notepad++, to begin our final step. Once you get into the config file, you will see a long list of settings to tweak your server. To keep things short and sweet, we are only going to focus on the main one-the one we need to edit to make the server online. For “MySqlHost”: “localhost:3306”, change ‘localhost’ to your IP4 address, and change 3306 to 7777. If you want a list of the rest of them, then look no further. Plugins for TShock are useful is you want to make things a little more interesting for your custom server. All TShock plugins go into the plugins folder, some may need to be extracted from .zip, however. Now your server is ready to be connected to! 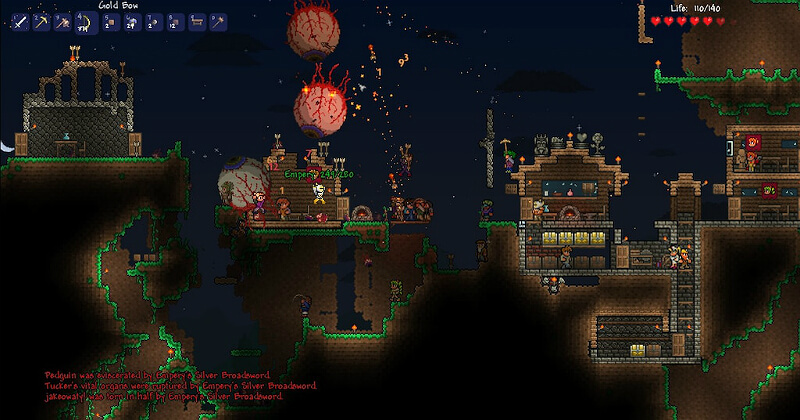 Launch the .exe and Terraria. 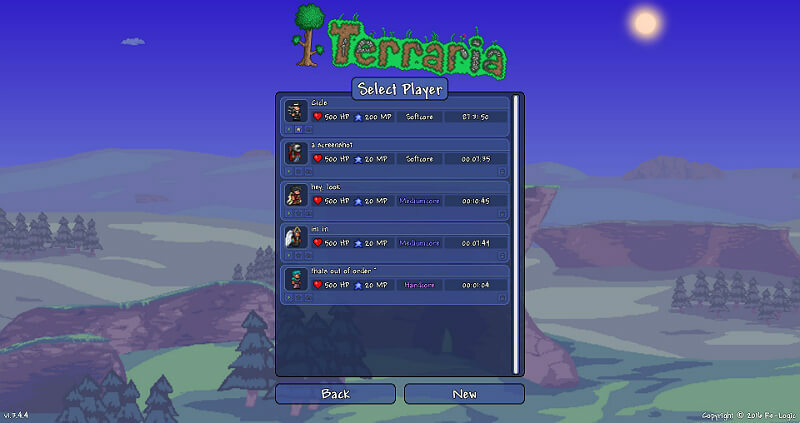 Google, “what’s my IP” and type that into Terraria while connecting to IP, but keep the port 7777. Just a little bonus to those who made is this far 🙂 thanks for sticking around. This picture has nothing to do with this. Remember, all said are mostly suggestions, because this is a guide, to guide you. I hope you guys consider this guide for your multiplayer experience 😀 I’ll update this in the future, and I’ll read your comments and add in your suggestions. I hope you also like the occasional stories I sprinkle around the guide, I leave them to show a lesson. If you don’t like this guide, well, sorry, just ignore it and move on, and enjoy the day.